TVN Group has expands on its long-lasting relationship with Warner Bros International Television Distribution, by signing a new multi-year licensing deal. TVN Group holds exclusive basic-pay and free TV rights to blockbuster cinema productions, such as The Lego Movie, Godzilla, Fantastic Beasts and Where to Find Them, Suicide Squad and Batman v Superman: Dawn of Justice. Under the deal, TVN has also ensured that the best-in-class evergreen feature films – including The Harry Potter Film Series, The Hangover, Lord of the Rings and The Dark Knight Trilogies – will all remain on its networks. 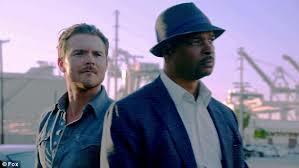 What’s more, TVN will broadcast the newest hit series from Warner Bros Television, including Lucifer and Lethal Weapon. “We are delighted to expand on our deep-rooted relationship with Warner Bros International Television Distribution. With this deal we are entering our third decade of co-operation. The best productions of the studio will air exclusively on our networks, once again making TVN the go-to place for world-class cinema” said Piotr Korycki, VP of the Management Board at TVN.